Guaranteeing the integrity of time- and temperature-sensitive products during transportation has suddenly become one of the hottest topics in Latin America’s pharmaceutical and logistics industries. 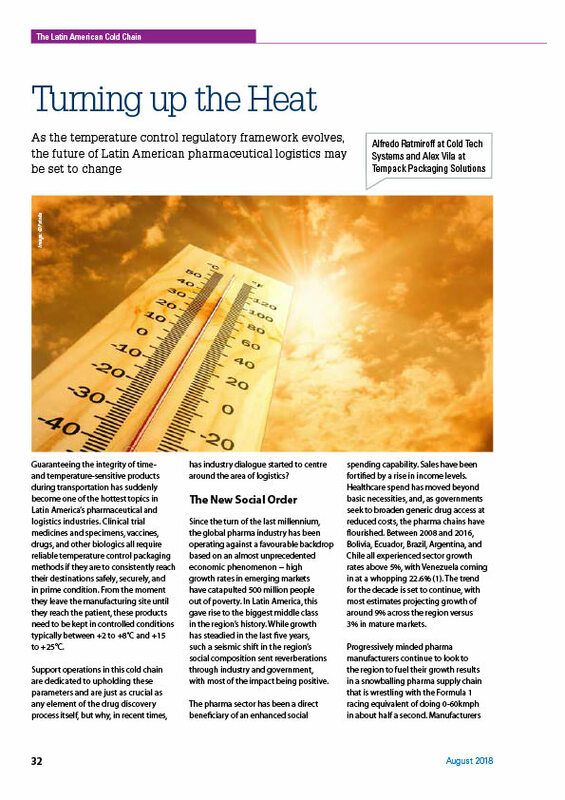 As the temperature control regulatory framework evolves, the future of Latin American pharmaceutical logistics may be set to change. This article in PMPS explores how Softbox’s new acquisitions, ColdTech and Tempack, are dealing with the changes and looking towards the future of the cold chain in Latin America.